For the past 14years I have been lucky enough to call the Health and Wellness Industry my home. I have worked in every capacity imaginable, from the front desk of athletic clubs, to group fitness, to training and coaching, as well as management of those areas. 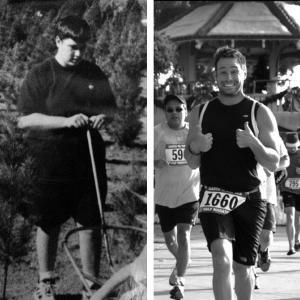 My personal story began with a weight loss of over 120lbs. Through that process and struggle I discovered a passion for helping others and a talent for connecting and helping people. Following that major transformation, I involved myself in more formalized fitness education and now find myself with a very well rounded wellness skill set. I can work with any modality and goal, from general health to major endurance events. My hope is to be a force of education, motivation, and change in your life. Let me help you the way others helped me. ... read more.